This is a two on one drill. It is designed to help with positioning and defense/attack of the net. Start with three lines at center ice. 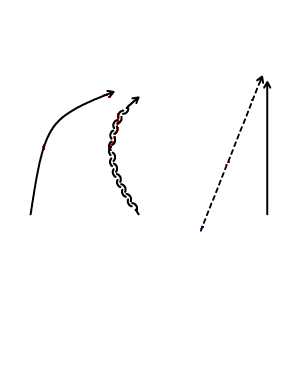 These lines represent two wingers and a defenseman. 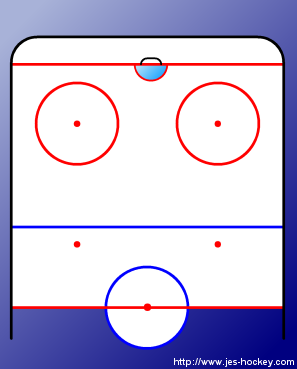 Pucks on one of the off-side face-off dots. Coach dumps the puck into the corner. The closest winger digs into the corner after the puck. The opposite winger curves into position in front of the net. The defenseman defends his goalie. Practice multiple options from here. Winger in front of the net gets open for a shot.